Groundviews is Solid Ground’s quarterly print newsletter for our friends and supporters. Below is the March 2014 Groundviews lead story. 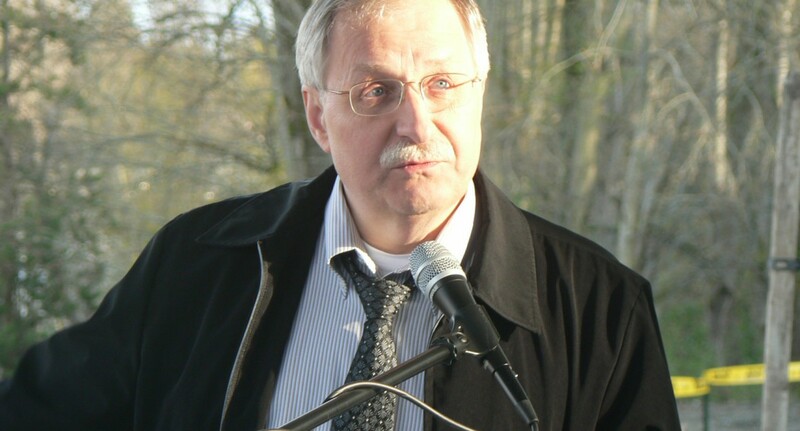 Frank Chopp – Washington State Speaker of the House, Solid Ground Senior Advisor and Fremont Public Association Executive Director from 1983 to 2000 – began his more than 40 years of success as a rabble-rouser, innovator, community builder and legislator around a Bremerton dinner table. Frank graduated from the University of Washington and worked as a community organizer in the mid-70s in the Cascade neighborhood. In 1976, he was hired by the City of Seattle’s North Seattle Community Service Center, which supported the then fledgling Fremont Public Association (FPA). “It was very much an opinionated group, very activist oriented, as well as very creative. We were willing to push the envelope in terms of new things, really responding to community rather than sitting back,” he recalls. The story of how FPA developed what became Solid Ground’s Transportation services is a great example. “There was a need to provide transportation to the elderly so they could get to doctors’ appointments. We started that with a Jesuit Volunteer, with a beat up old van, picking up people, taking them to their doctors, taking them back home. We saw a need; we met it.” FPA then brought together two smaller van programs to become more effective. “We also wanted to make a political statement,” Frank says, “because this is about the time when Metro took over Seattle Transit. And transit service in Seattle got reduced for a while, because they were trying to spread it around the County. So as a political statement, we called it Seattle PERSONAL Transit. Then it became an ongoing program. “So we organized many people with disabilities to go down to the Metro Council and say, ‘Look, you’ve got to provide this on a much more comprehensive basis, not just through a bunch of volunteers.’ We organized a couple hundred people to pack the hearing room. Frank describes how his experience with the FPA informed his role as Speaker of the House: “I’m doing the same job there that I was at the FPA; there is no difference. We are trying to figure out the best way to get as much done as possible. So we think carefully about what we see as a need in the community, or across the State, and then we figure out the best way to accomplish that. “I think it is always important to be on the cutting edge, literally, of new ideas, and looking at new opportunities. You’ve got to constantly be pushing yourself and other people to do more, and also to be as creative as possible. “As a community organizer, you want the community to be the face of what the need is, and they have to take group action together to get something done. You can actually achieve more if you put the real people who are directly involved front and center; the most effective spokespeople are directly involved. Visit our Timeline of Accomplishments for more information about Solid Ground’s 40+ year history of innovation, partnership and action.